Most everyone who watches professional Overwatch remembers the January night when “Big Boss” Kim “Pine” Do-hyeon casually laid waste to an entire enemy team like he was a grown adult at a county fair popping balloons with darts. Pine’s celebrity grew as his wild, risky plays became even wilder and riskier. Then, without much warning, he’s been slowly disappearing for nearly a month. Where’s Pine?, we all wondered. The answer is a warning to fans that our esports heroes are humans, too—even big bosses. However, Pine isn’t NYXL’s bread-and-butter DPS player. He’s a sub. Jong-yeol “Saebyeolbe” Park, a consistently prodigious Tracer player, and Hye-sung “Libero” Kim, who plays a grab-bag of DPS heroes, are NYXL’s go-to damage-dealing team. Mostly, they stick with the rest of the team, hanging out with their healers and picking off enemies from behind their tanks’ cover—except for when Saebyeolbe pulls off incredible flanks and, with Tracer’s special ability, rewinds back to his team in seconds. Pine gets a lot of attention because he stands out. NYXL’s other DPS players play with a lot of discipline and structure. Pine was unafraid to go for big, risky plays from unpredictable positions, which fans loved. At first, it seemed like he was NYXL’s go-to trump card for control point maps— zones that players must capture king-of-the-hill style. On those maps, NYXL would roll him out and steal a win. For a very long time, Pine’s win record on control point maps was unimpeached. Then, as time passed, things got a little hazier. Pine’s would be conspicuously absent on the team roster, even on control point maps like Ilios where he’d carved out his remarkable record. Sure, in fights against weaker teams, like the last-place Shanghai Dragons, Pine would headline. On one map against the low-ranking Florida Mayhem, Pine appeared to stunt by repeatedly flanking, by himself, through the map Horizon Lunar Colony’s outer space area, which is really not something you see very often. A commentator called it “cute.” But in high-stakes matches against, say, London Spitfire, “big boss” Pine would barely appear, if at all, and sometimes, his big plays proved ineffective against equally-skilled players with tight defensive strategies. NYXL stuck with Libero and Saebyeolbe, who could handle Pine’s duties on their own. Fans, now, haven’t seen Pine for weeks. One commentator put it well last month when he said, “I supposed Pine does draw New York out of their normal style,” adding, “despite the heroics that Pine can show us, it does kind of derail New York from their normal gameplan.” Sometimes, a commentator would mention that Pine’s high-risk, high-reward playstyle took up a lot of his team’s healing resources. Most of the time, they wouldn’t address his absence. In the meantime, fans continued to churn out “big boss” fan art and write his name on posters which appear on stream. In an Overwatch League video with an insubstantial 700 views, compared to others’ in the thousands, Pine explains his inner struggle with the fame that was thrust on him so quickly after moving to a strange new country: “To be honest, if I was to talk about the nickname ‘Big boss,’ I personally feel too much pressure from the name,” he says. “The name itself suggests I have to constantly be good. It’s actually a huge burden for me. 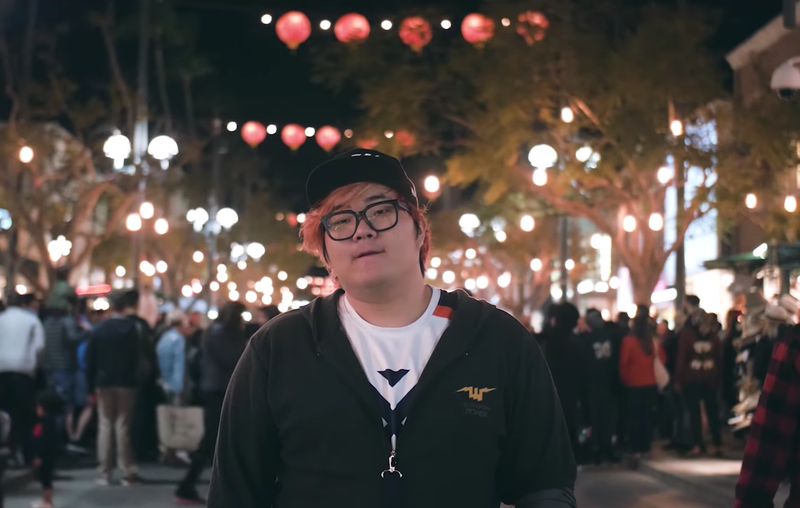 I mean, when I play well, it feels great.” In the same video, NYXL’s healer Ark says, “Because he makes a lot of dangerous plays, with him, it’s high risk, high reward.” He adds, “To us, you’re big boss.” Pine then questions, a little tepidly, whether he earned the nickname because he’s a bigger guy. NYXL, right now, has a winning record. Pine has put on a very good show, which, all in all, is the point of the whole thing. He deserves a break. It’s difficult to imagine being a 20-year-old who veered away from any traditional, stable career trajectory and took a big risk on professional gaming in a foreign country. It’s difficult to imagine how anxiety influences playstyle in a game as fast-paced and tense as Overwatch. We can’t always expect esports heroes to put on a good show independent of whatever pressures they’re facing, and it’s worth remembering that this season’s Overwatch League players are pioneers of a sort, experiencing the ups and downs of a rather long season for the first time. If we really support them, we need to treat them like humans.